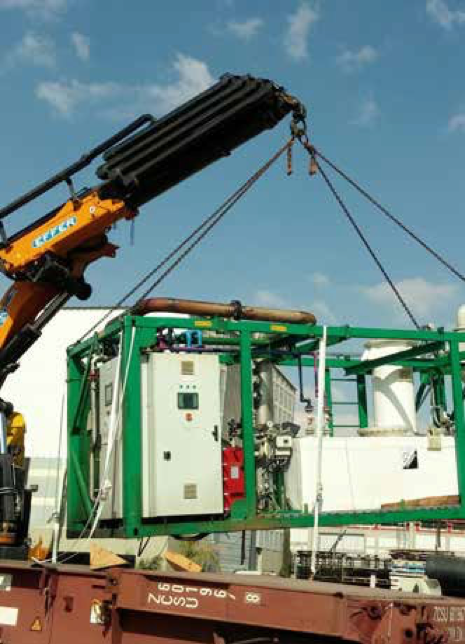 Hotzone Solutions has a solution for hazardous waste problem – the Mobile Hazardous Material Treatment Unit MHMTU, a plasma technology-based waste disposal unit. Toxic waste is a serious problem for many countries, worldwide. Until the middle of 1980’s waste combustion was widely considered to be the basic method of environmental protection. As a result, the industry of incineration plants and various installations was born. These traditional combustion furnaces lead to further atmospheric pollution with waste such as heavy metals containing ash, soot, sulphur and nitrogen oxides, chlorine compounds and dioxins. This has triggered the search for alternative technologies requiring less costly purification systems – plasma technology. A plasma waste converter is a plasma torch applied to toxic waste. A plasma torch uses a gas and powerful electrodes to create plasma, sometimes called the fourth state of matter. The plasma gas heats up by converting electricity into heat. Temperatures more than 5000°C can thus be created. Such high temperatures normally lead to complete destruction of all known organic and many inorganic hazardous waste compounds to atoms and the simplest molecules. The Hotzone Solutions MHMTU has taken all these advantages to a next level delivering the mobile, operationally independent solution. 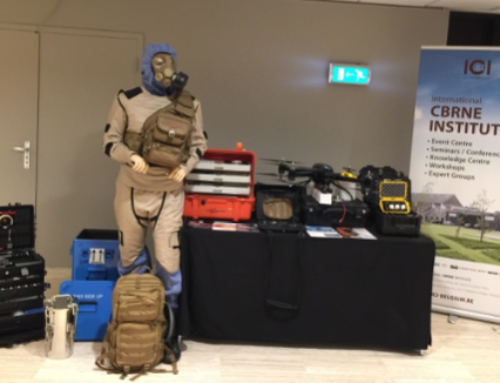 Chemical waste, including: PCBs, mineral oils, plastics, heavy metals, asbestos, pesticides, highly toxic chemicals such as Chemical Warfare Agents (CWA), Toxic Industrial Materials (TIM) etc. Hotzone Solutions mobile system MHMTU is modular and compact: It can be delivered in parts/modules which, completely assembled, fit into a 20 feet general purpose shipping container. The plant can be mounted on a mobile platform and transported for use at the waste collection point. 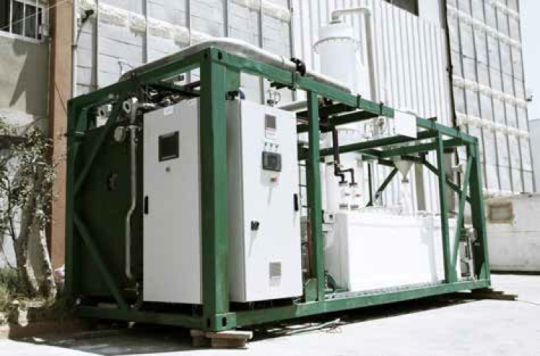 Hotzone Solutions can also provide plasma technology for large industrial waste treatment units. Customized integrated engineering projects can be developed to customer requirements and needs. To download the 2017 Product catalogue, please click here in this link.